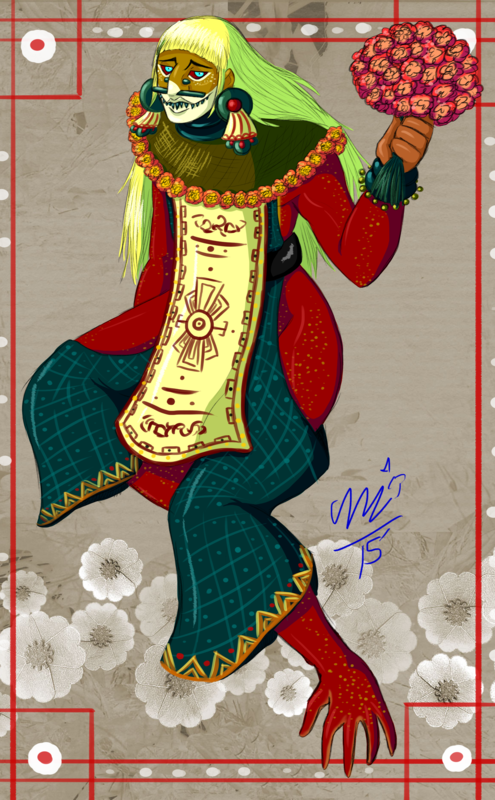 Itotia is mostly known to be playful on many occasions, enjoying the thrills of games and trickery among others. As a shape shifter, he sometimes will take the forms of different animals and switch between the male and female gender. When he's not playing, he relatively calm and relaxed, taking this time to either sleep and lounge about to catch the warmth of the sun. He also can be quite curious to learn new things from time to time. He is a bit self conscious about the way his feet look since they look like hands and does not like it when people try to touch them without his permission. Likes: Playing games, flowers, jade, spending time with people, swimming, warm weather, sun bathing, dancing, storms/rainy weather, learning new things, and star gazing. Dislikes: Being left alone, cold weather, people touching his feet, getting dirty, feeling lost or unsure of his surroundings, and small crowded places/closed spaces.